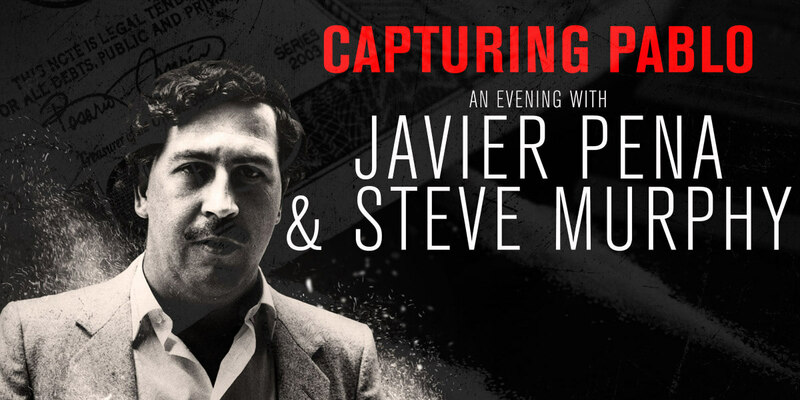 Outset Agency have announced an evening with DEA Agents Javier Pena & Steve Murphy, in Vicar Street on Monday 12th, Tuesday 13th & Wednesday 14th December. The actions of Pena and Murphy were the inspiration for the hugely popular Netflix crime series “Narcos”, which tells the story of Colombia’s infamous drug cartels and Pablo Escobar’s fight to maintain his position as the most powerful player. Agents Pena and Murphy will be joined on stage with Mike Sheridan, of entertainment.ie, and will speak about the rise and fall of the Medellin Cartel and the role the Agents played in bringing down its notorious leader, the ‘King of Cocaine’. The evening’s discussion will shed light on their input into the hit Netflix series, where they will reveal information which does not feature in the show, followed by a Q&A session with the audience. Javier Pena was brought up in Kingsville, Texas and in 1984 he joined the US DEA. Four years later the Retired Special Agent in Charge volunteered for an assignment in Bogota, Colombia. It was there that Pena and his partner, Special Agent Steve Murphy, set out to bring down the Medellin drug cartel and its leader Pablo Escobar. Pena was awarded Colombia’s highest honour for his efforts, and received commendation awards from the DEA and the wider international community. He is regarded as an expert on the subject of the Medellin Cartel. Steve Murphy began his career in 1975 as a Police Officer in the City of Bluefield, West Virginia. In 1987, Murphy joined the DEA as a Special Agent and was assigned to Miami, Florida where the cocaine trade was exploding. In 1991, Special Agent Murphy was transferred to Bogota, Colombia. It was there that Murphy and his partner, Retired Special Agent Javier Pena, targeted the notorious narco-terrorist Pablo Escobar and the Medellin Cartel. Murphy received multiple honours and awards, during his career, including ‘DEA Special Agent of the Year’ and the ‘Distinguished Service Cross’ from the Republic of Colombia.